Hi Tunisia. Interesting facts. Do all Eels return to the Pacific ocean? You did an ok blog post. 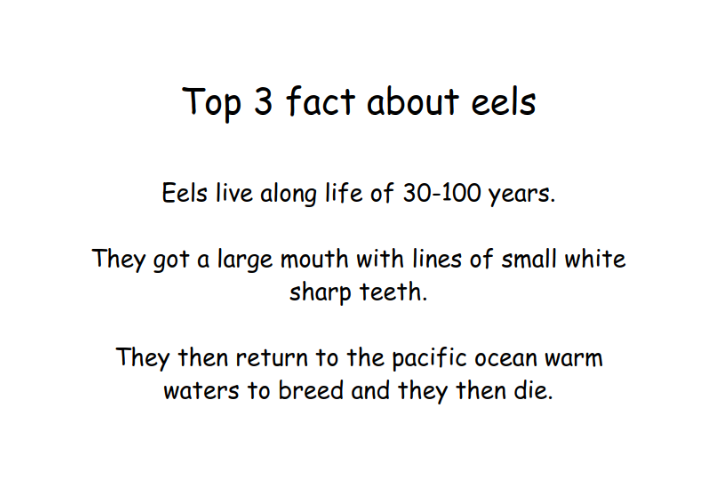 I liked that eels can live to a 100 years. 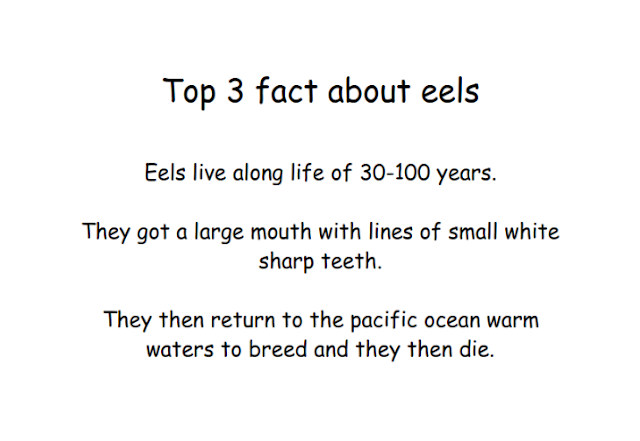 Here's a tip, you should add why you did 3 facts about eels. Hi Tunisia, it's Room 12! We think your facts are cool but we wanted to know if tunas lay eggs?